This is Little Tots Estate Polka, a beautiful white with black dotted doe. Her ADGA number is D1699342. This sweet girl is coming from great milking lines! Polka's sire is *B Little Tots Estate John Wayne, SS is +B AGS Woodhaven Farms Luzifer Blue and SD is 1*M AGS Woodhaven Farms Cowgirl. Her dam is 3*M Little Tots Estate Syringa, DS is +B AGS Woodhaven Farms Luzifer Blue and DD is 2*M GCH AGS SM3Pines Juren's Sugar Glider. 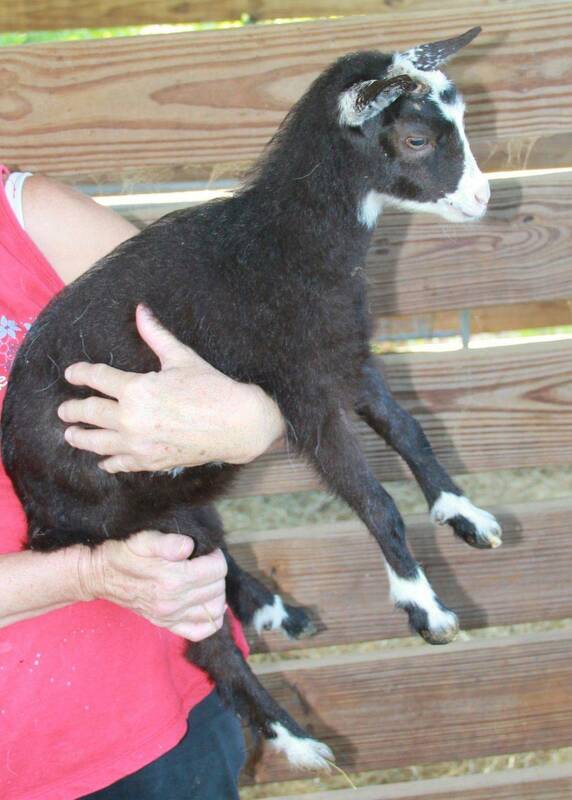 This little girl is Mini Peach Tree Nellie, a lovely black doe with the cutest white markings. Her ADGA number is D1722878. We retained her for our program, and her parents are Mocha and Mikey.